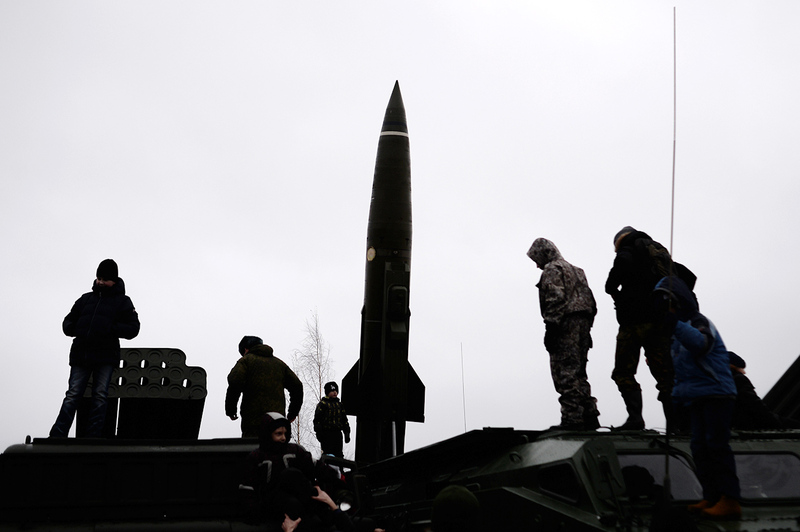 Are Russia’s SS-21 missiles in use in Syria against Islamic extremists? Tochka-U tactical missile complex shown during an exhibition of weapons at the Luga training ground, Leningrad Region. Media frenzy rages over Russia's alleged use of SS-21 missiles in Syria. The Kremlin is unable to comment on U.S. media reports that Russia is using Tochka tactical ballistic missiles in Syria, (NATO dubs them, SS-21 Scarab), said presidential spokesman Dmitry Peskov on Feb. 9, reported RIA Novosti. "We cannot comment on that; I have no such information," Peskov told reporters when asked to comment on reports of Russia's alleged supply of 50 Tochka missiles to Syria. Russia’s Defense Ministry dismissed media claims of using Tochka-U missiles to strike at anti-government Islamic extremists in Syria. On Feb. 8, citing U.S. officials, Fox News claimed that Russia had allegedly delivered 50 short-range ballistic missiles to the Syrian port of Tartus. On Jan. 20, Moscow and Damascus signed a 49-year old agreement to modernize the repair and docking facility in the Syrian port of Tartus. Upon the agreement’s expiration, a 25-year extension will be automatic unless one side informs the other a year in advance of any desired changes. The Tochka-U is a mobile missile system, designed to launch precise attacks on the enemy's tactical targets, such as control posts, bridges, storage facilities, troop concentrations and airfields. The modernized version of the Tochka-U, which can carry nuclear, biological or chemical warheads, has a maximum firing range of up to 115 miles.